Ten Spirituals for Low Voice and Piano. By Various. Arranged by Moses Hogan. Vocal Collection. Book only. Size 9x12 inches. 40 pages. Published by Hal Leonard Corporation. Arranged by Mark Hayes. For Voice. (Medium Low Voice). Vocal Collection. The Mark Hayes Vocal Solo Collection. Spiritual; play along. Book and CD. 64 pages. Published by Alfred Publishing. The Vocal Library. Arranged by Richard Walters. (Low Voice). Vocal Collection. Size 9x12 inches. 312 pages. Published by Hal Leonard Corporation. Voice and Piano. By Various. Arranged by Robert L. Larsen. Vocal Collection. Size 8.5x11 inches. 200 pages. Published by G. Schirmer, Inc.
By Franz Schubert. Voice and piano. Selected by SERGIUS KAGEN. German with literal English translations and notes by G. Contains all the cycles plus 42 selected songs. Published by International Music Co. Medium Low Voice. By John Leavitt. Vocal Collection. Book only. Size 9x12 inches. 56 pages. Published by Hal Leonard Corporation. The Vocal Library. Vocal Collection. Size 6.75x10.5 inches. 216 pages. Published by Hal Leonard. 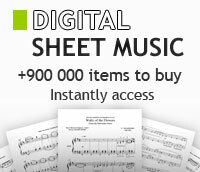 Instrumentation: Low voice—Pf Format: Sheet Music Details: (Ger.) Vol.II: Mendelssohn to Wolf, 55 Songs.